Judging from the looks on my friends' faces when I arrived, I guess no one was expecting a walking disco ball to join our Christmas dinner. 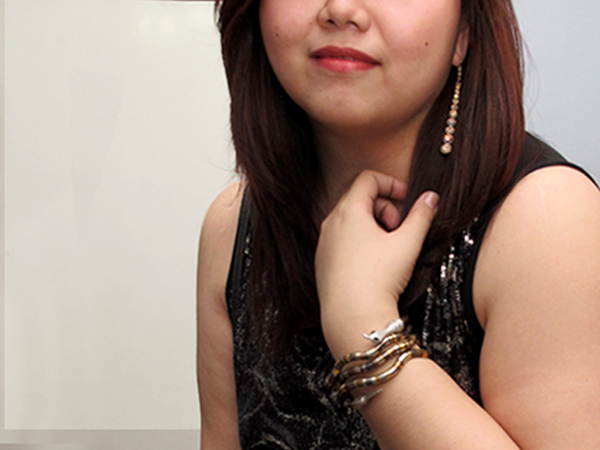 Nevertheless, there I was strutting in my shiny number with a snake around my wrist, a proud rocker-wannabe. Even I would be surprised to see myself in such an ensemble. 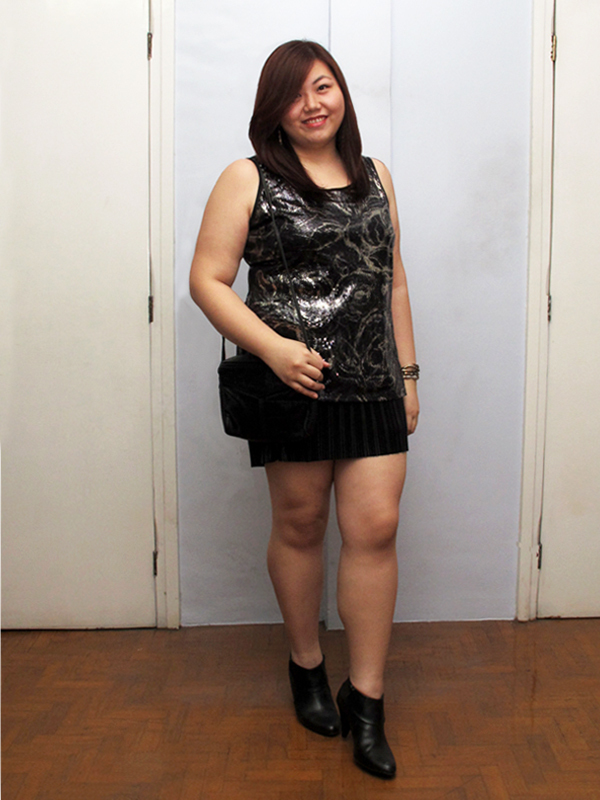 Sequin tank, shiny black pleated skirt, ankle boots--who da thunk I could pull this off? Want to know the other reason for the sparkles? I'm counting down the years in one hand that I could still wear an outfit like this before people start making washed-out-groupie-still-living-in-the-past remarks behind my back. Plus, it's Christmas, so shiny, twinkling stuff are in a necessity. Festive and edgy are two words we often don't see in a sentence, but I'll take it! Thanks! Love your sequin top! So chic!!! Nice outfit. Chic and stylish. Thanks for the lovely comment on my blog :)I follow back. Thanks again! Great outfit..I especially love your cute ankle boots! Thanks Olivia! :D They're in my regular rotation now. Sparkles are great for the holidays! I can't get enough! Yes, that's going to be my new year's resolution. cool all black look. Love the detail of the top! We have the same party theme! 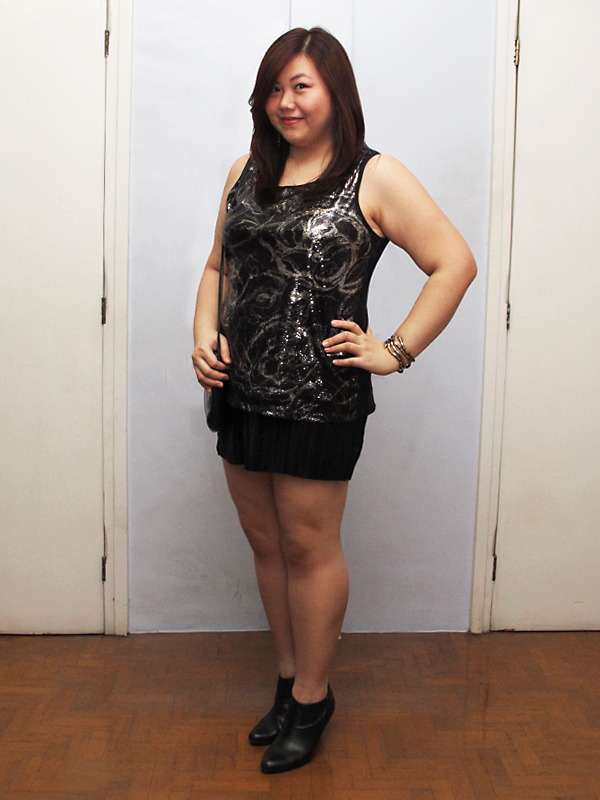 That skirt looks so cool with its tiny pleats and short length,the boots and sequin top that i really really like! You totally rock this look, love it! love the sparkly top, so perfect for the holiday season! You look wonderful and I love your little booties! Thanks Zhanna! Love how your name sounds! You look so pretty! I love your sparkly top! Hi Abi! you are so cute! Just found you! Love the booties! Look forward to more posts! I am your newest follower! absolutely dear, no guts, no glory:) I like your outfit!